I’ve spent the last 15 years within an hour of Columbus, Ohio, so I’m finding I’m ready to get out and explore more of my home and neighboring states. The Midwest (and Pennsylvania) enjoy a plethora of events to relish in Yuletide joy! Here’s a guide to Christmas & holiday displays, including light shows, festivals, and shopping opportunities. 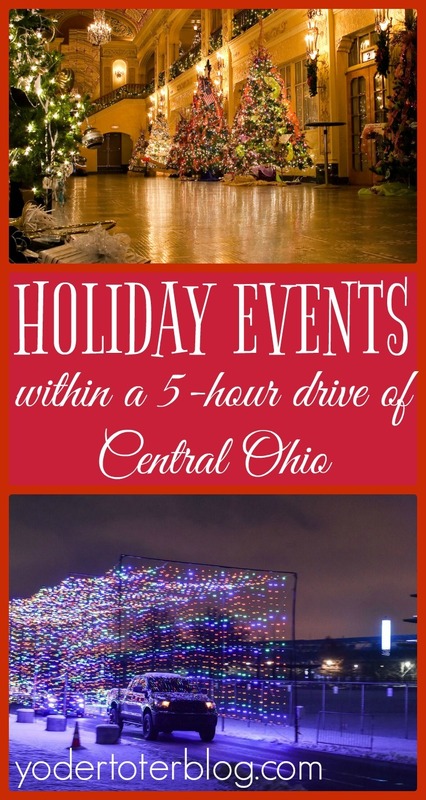 Ohio Girl Travels gives a rundown of Ohio’s Best Christmas Lights Displays. Clifton Mill is less than an hour’s drive from Dayton or Columbus. The day after Thanksgiving, the lights come on- over 3.5 million Christmas lights draping the banks around this historic grist mill. You can read more about this breathtaking destination on Adventure Mom‘s blog, Legendary Lights of Clifton Mill. Looking for a unique holiday experience? How about taking a city light tour while riding a Segway? SegWave of Sandusky, Ohio is offering one-hour holiday light tours of their downtown. Nightly one-hour tours begin on November 25th! 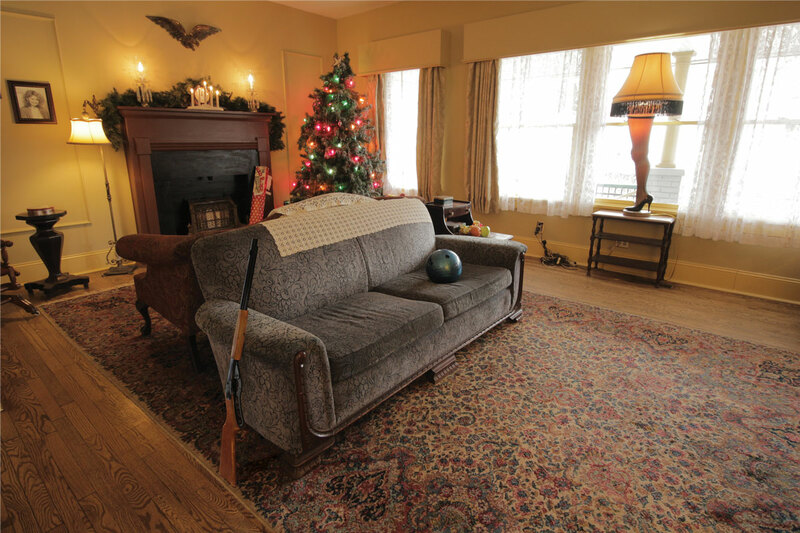 Did you know that the Christmas Story house is based in Cleveland, OH? Not only can you take a tour, you can stay the night! Check out Mojo Traveler’s review of the tour HERE. I’ve always wanted to go to Bronner’s Christmas store in Frankenmuth, Michigan! Bronner’s is the largest Christmas store IN THE WORLD. Check out this post from Kana at Life in Wanderlust for more information on visiting! 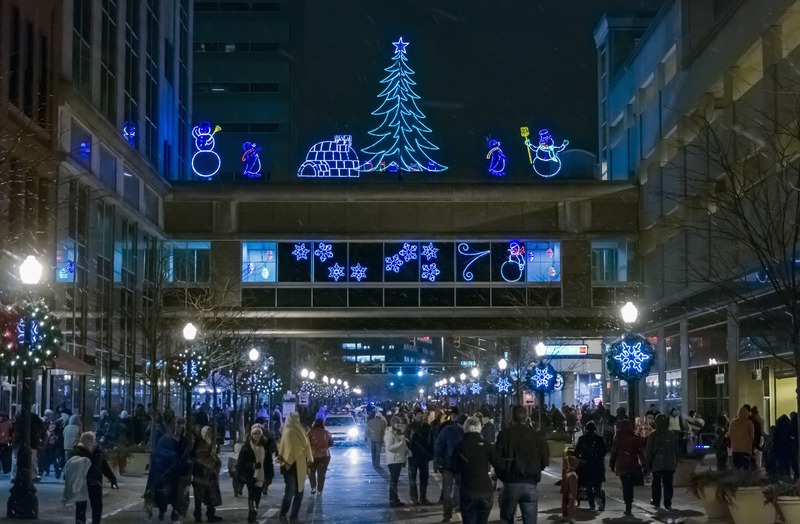 Downtown Fort Wayne offers the Night of Lights on November 21 (Thanksgiving Eve). The night offers an appearance by Santa and his reindeer and concludes with fireworks at Parkview Field. Fort Wayne also offers a Festival of Trees at the Embassy Theatre. This runs from Nov 21-28th. For more on visiting Fort Wayne. Indianapolis has some fun holiday events of its own. Lindsay from Let Me Give You Some Advice recommends Garfield Park’s Crossing at the Conservatory. This is a family-friendly & budget-friendly holiday display. 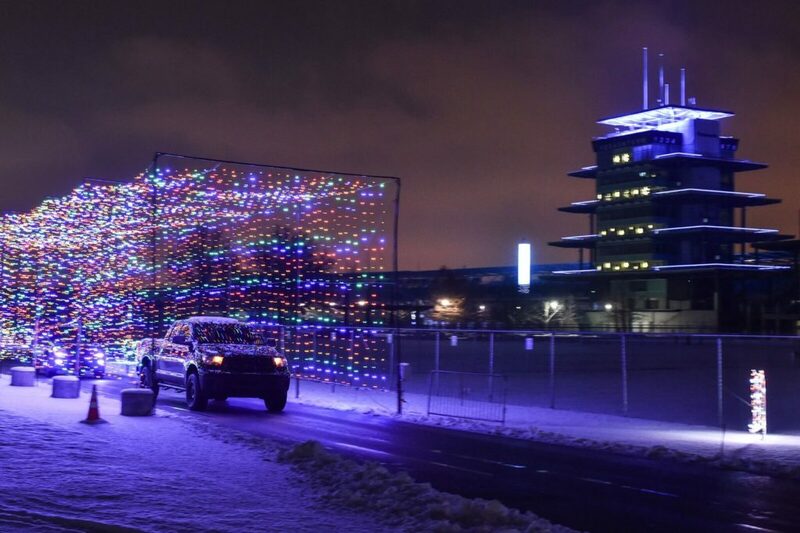 Men may be even more excited than the ladies about Lights at the Brickyard, a drive-thru holiday display at the Indianapolis Motor Speedway. This year you can actually drive your vehicle on the oval and across the Yard of Bricks! How fun?! Before you go, purchase your tickets online! If historic homes bursting with holiday decor are your thing, check out Madison, Indiana’s tour of homes taking place Nov 23, 24, & 30, and Dec 1. Madison is just 1.5 hours from Cincinnati! Pittsburgh isn’t a bad drive from much of Central Ohio! Karyn from Sand and Snow her best tips for visiting Pittsburgh during the holidays! For more on visiting Pittsburgh. I’d be amiss if I didn’t mention the Oglebay Festival of Lights. Oglebay, outside of Wheeling, is one of the nation’s largest outdoor light displays. They offer special programs like breakfast with Santa and Good Zoo’s reindeer training program. Overnight packages are available, too! What are some of your favorite holiday happenings in Ohio and her bordering states? *This is not a sponsored post but may contain affiliate links. You’re very welcome! Thanks for reciprocating!